﻿Alaw was composed in 2015 for the debut CD release of Tom Hutchinson, principal cornet of the Cory Band. The piece is a essentially lullaby inspired by Alaw Clement, the first daughter of one of the composer's oldest friends. The name Alaw itself means 'melodious' and 'flowing'. ​Ascension takes it’s name from the inspirational phenomenon that was Felix felix Baumgartner’s 2012 ’Red Bull Stratos Jump’; the first free fall sky dive made from inside the stratosphere. In an age where the stimulation of mass media is so prevalent, it is a rare thing for a single event to captivate the global consciousness. However, the sheer magnitude of human endeavour shown by the ‘Stratos’ project achieved just this. The piece is structured in two continuous sections, representing both the ascending and descending stages of the jump through a gradually unfolding meditation and adrenaline fuelled scherzo. In line with this contrast, the progressive expansion of technical difficulty and intensity of solo lines tries to capture the physical experience felt by Baumgartner himself during the jump. Ascension was jointly commissioned by the Central Band of the Royal Air Force (UK) and Brass Band of Battle Creek (USA) for performance by soloists Steven Mead and Ben Godfrey. 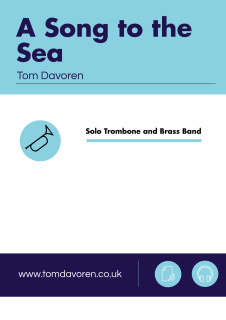 A Song to the Sea was composed for trombone soloist Brett Baker and Filton Concert Brass, for the CD recording 'Tales from the West Country'. The piece tries to caputre the relaxing and gelntly view across Bristol's harnbour as seen from Clifton. The feel of the piece is both ambient and lyrical, with a focus on middle to high range suiting both trombone and the baritone horn. 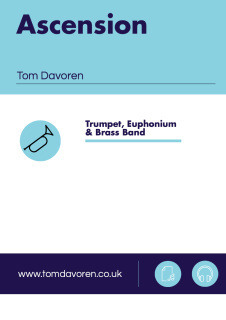 Written for the BTM Band and their trombone soloist Jonathan Pippen, the driving concept behind Diversions on Calon Lan as a second look at the dated form, most famous (or perhaps infamous!) within the band movement, that is the air and variation. 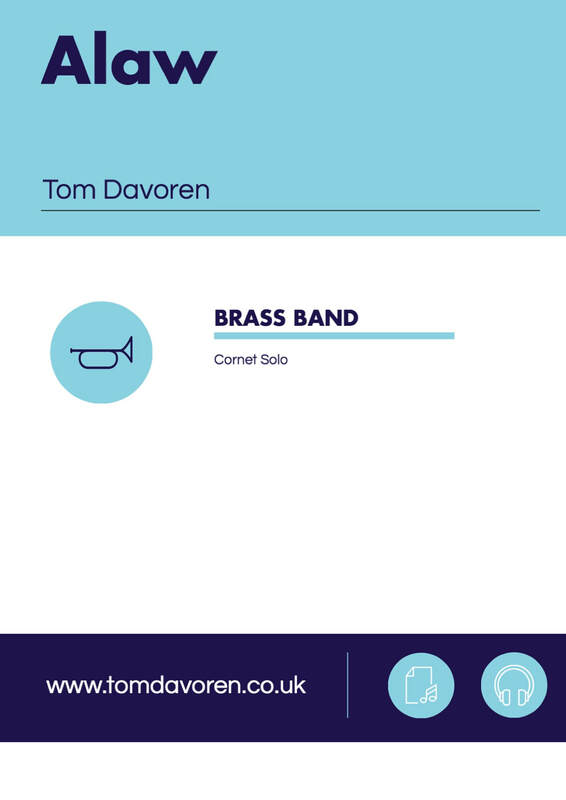 The second in Tom's 'Diversions' series of solo works, this piece celebrates the lyrical side of tenor horn as well the virtuosic technical ability of many of today's leading horn players, all through exploring Jon Roberts beautiful Welsh hymn tune Gwahoddiad. Composed in 2015 Embers is a short, lyrical concert work which evokes the subtle glow of a camp fire just after the final flame has withered. The piece received it’s official premiere in Gothenburg on 7th November 2015, performed by Windcorp Band at their 10th Jubilee concert and conducted by the composer. 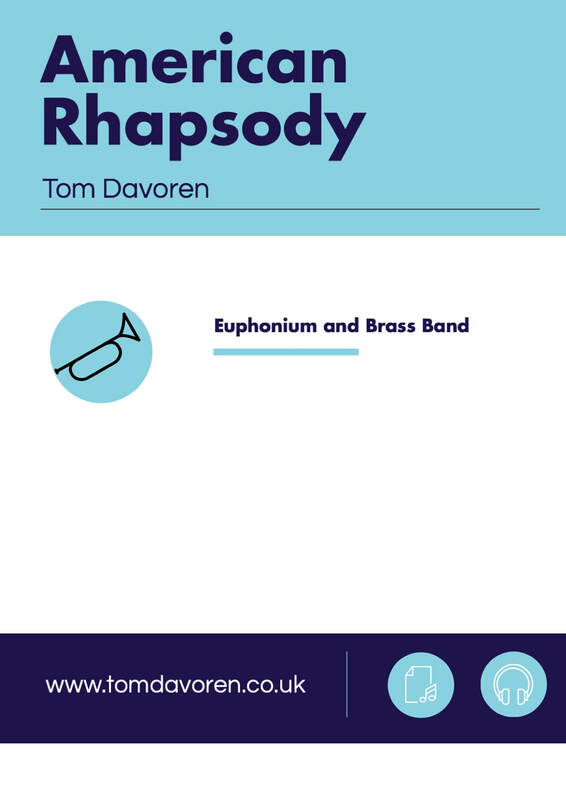 An original sketch for this piece was composed for Belgian conductor, bass trombonist and friend of the composer, Geert Van Looy. Created during a somewhat turbulent period in my life, the concept behind Facets of the Heart has changed considerably between it's inception and completion. The result is a musical representation of three perhaps lesser considered but none the less extremely important aspects of love, set against their natural opposites. Running in three continuous sections, the chosen aspects are Fear & Hope, Pain & Comfort and Doubt & Courage. For a Love Lost is a sultry slow melody solo. Composed for the extravert Argentinian / Austrian trombonist Lito Fontana, the music has a distinct Latin American flavour. As the progressive rock band Transatlantic quote in their epic work of the same name, We All Need Some Light. Since the dawn of man fire has been out most essential companion. A steadfast provider, it is source of comfort, assurance and safety. On the other hand though, fire is one of natures most brutal and unpredictable forces; erratic, entrancing, devastating and spectacular. Our personal ‘fire’ finds us in a multitude of ways. At one stage or another, we will all search for The Healing Power of Flame. The Healing Power of Flame was commissioned by Kristy Rowe for premiere at the International Tuba Euphonium Conference 2012. Proverbially is a concertino for euphonium and brass band composed for the burgeoning talents of Glenn Van Looy in 2011. The piece is structured in three individual movements, each around three minutes in length. Each movement is based on a particular modern proverb. Important musical influences, ranging from Tom's childhood the present day, permeate the score. The works lyrical yet angular style is almost certainly derived from styles of selected stadium and progressive rock bands. background as a steel worker as well as being a church organist and hymn tune composer. The brass band version of Riding to Olwen was composed in 2016 for the Brassband Buizingen and their director Dr. Luc Vertommen. Tom composed South Loop in 2015 following an annual visit to the city of Chicago,in the Midwest region of the United States of America. It takes its name from a section of the L, the famous elevated railway which is the lifeblood of the city and its suburbs. The piece tries to capture some of the bustling energy of this Chicago landmark and the 750,000 commuters who use it each day. An exciting concert finisher based on elements of Greek mythology. Commissioned by Jason Katsikaris and the Leyland Band. VIVAT! was commissioned by Kapitol for the 2012 National Championship of Great Britain first section final as a celebration of the Queen's Diamond Jubilee. The work is split into three contrasting sections that run continuously, with music derived from elements of Parry's coronation anthem I Was Glad.